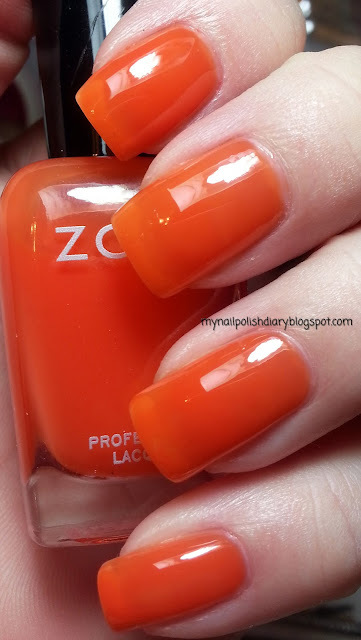 When Zoya released their Blogger Collection this past summer, I ordered the set immediately. I couldn't wait to get them on my nails. I loved them instantly. Why I waited so long to blog them is beyond me. 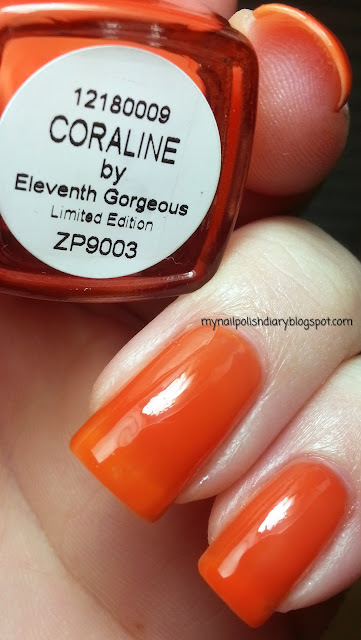 Zoya Coraline is a gorgeous orange jelly. It looks like a creamcicle on your fingertips. It's just dreamy. In true Zoya fashion the formula, application, and wear are perfect. It's very sheer, typical for a jelly. I used 3 coats for the pictures.